The Month of Muharram, which falls between Oct. 24 and Nov. 23 this year, is the Islamic New Year; after Ramadan, it is the most sacred month in the year. This month has proven to be a time of violence during which more than 70 people have already been killed in Pakistan. Sharing just a few examples of the hardships that Christians face, Pakistani Christians are asking for us to join with them in prayer. On Nov. 3, in the village of Kot RadhaKishn, a Christian couple was beaten to death, and their bodies burned in the community brick kiln after a mob accused them of desecrating the Quran. The families of Shama and Shahzad, and the Christian community in Kot RadhaKishn, are grief stricken following this terrible incident and desperately in need of God’s peace. Asia Bibi, who was in the news again last month, was wrongfully accused of blasphemy against the Prophet Muhammad in 2010 and sentenced to death by hanging. Though the death sentence was upheld by the High Court in Lahore on Oct. 16, she is entering a new and final appeal to the Supreme Court. Christians worldwide are in prayer that the Supreme Court will reverse the decision, or that she will be granted amnesty. Maria, a Christian living in Faisalabad, was forcibly converted to Islam and then coerced into an Islamic marriage. Having now taken the bold step of entering a counter case against the person responsible, she and her parents are receiving threats and are in need of strong legal support to aid her in this complex predicament. 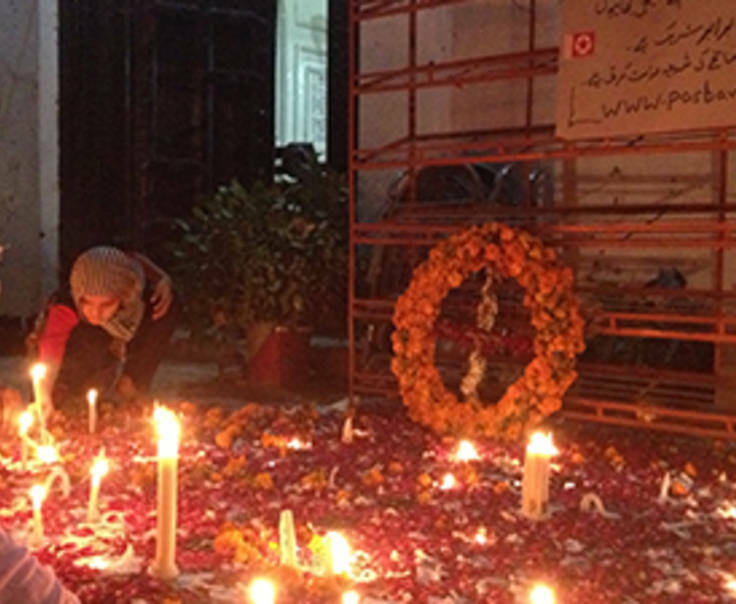 Pakistan continues to be torn by religious violence; the Christian community and many others pray for peace. Please join in this prayer. Father, as we consider Pakistan today and the increasing violence against Christians and other minorities, we join them in praying for peace. During this month of Muharram, a sacred month in the Islamic calendar, we pray for the hearts of Muslims to turn in faith to Christ, and for the leaders of Pakistan to render true justice. We pray for the families of Shama and Shahzad, and for the Christian community in Kot RadhaKishn, as they grieve the violent loss of this couple, and as they consider their own plight. Protect them, Father, and overpower their fears with Your perfect peace. We continue to pray for Asia Bibi as she awaits the new and final appeal to have the death sentence reversed. Grant her peace and trust in Your presence with her no matter what happens. And, we pray for Maria as she fights for a reversal of her forced conversion to Islam and Islamic marriage. Protect her faith, Lord, and overrule with true justice. Heal the aching heart of Pakistan, and bring about a revival that will lift high the name of Christ. In the name of Jesus, who rules over the nations and their rulers, Amen.